Live action Star Wars show gets showrunner – AiPT! ‘Rogue One’s Cassian Luna is getting his own series. The Star Wars universe is ever expanding. It’s been expanding for many years, between comics, animated shows, books and much more. This expansion only continued with a new Expanded Universe, spin-off films and a sequel trilogy, all coming from Disney, including the first “anthology” Star Wars film: Rogue One: A Star Wars Story, centering on a group of Rebels trying to steal the Death Star plans. 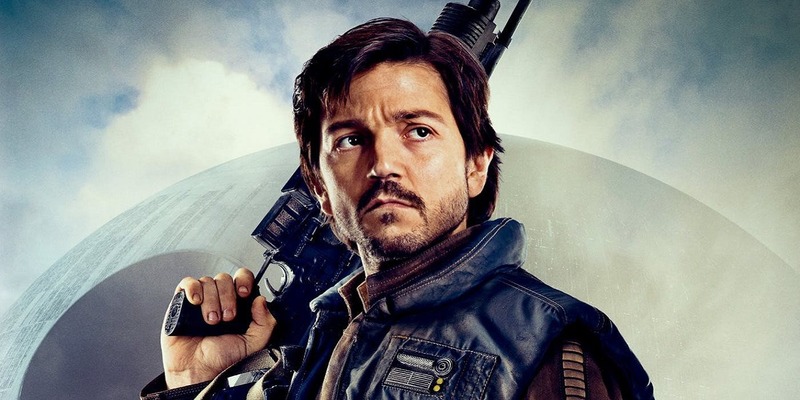 One of the characters introduced in that film was the morally ambiguous Rebel Cassian Andor, played by Diego Luna. Luna will reprise the role in his own Star Wars show starring Cassian. As Deadline reported, Stephen Schiff, former Executive Producer of FX’s espionage show The Americans, will executive produce and showrun the upcoming Cassian Andor series. It’ll be interesting to see if he injects the kind of sensibilities into this Cassian series that he did into The Americans. As Deadline states, the series ‘follows the adventures of rebel spy Andor during the formative years of the Rebellion and prior to the events of Rogue One’. I’ll most certainly be giving this series a go when it arrives on the Disney streaming service, Disney+, which is set to launch Fall 2019. Thankfully it isn’t the only live action Star Wars show set to stream there, as The Mandalorian from The Jungle Book director Jon Favreau, will also stream on Disney+, so we’ll have many trips to a galaxy far, far away to look forward to.